I drive A LOT. I calculated that I spend 1.5 hours a weekday driving. To work and back. To Stella’s preschool. To Target. To V’s gymnastics and elementary school. My husband takes the el train downtown to his office. Yet as my husband drove the girls and I 200 miles north to my parent’s house and I rambled about this and that, I was reminded: I am not the driver in our family. When we are ensemble, he’s driving Miss Rudey. Granted, there was intent to his drive: He wanted the car. We live in the city and have one car. 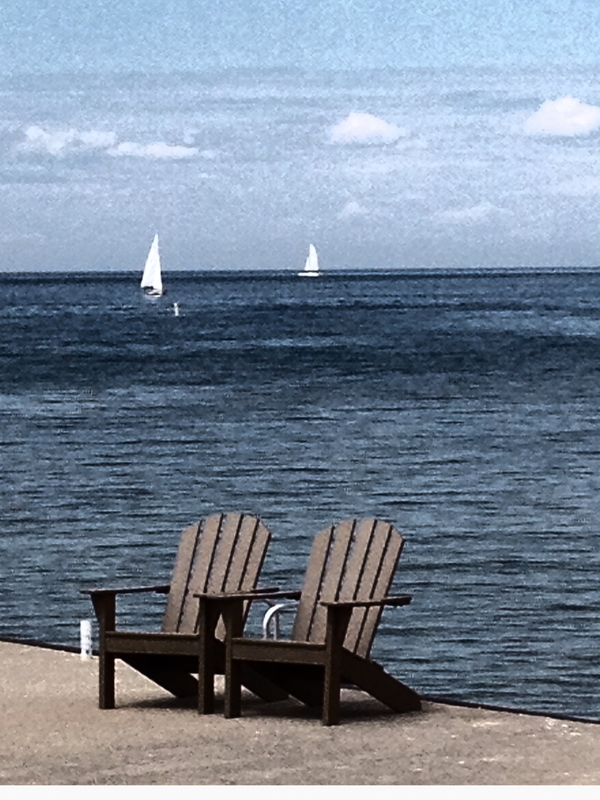 The girls and I were embarking on vacation in Green Bay – my hometown – for two weeks without him. So, he drove us. I could have rented a car there and back. We could have journeyed on the train. I could have asked my parents to meet us halfway. And yet, he wanted to drive us. I chalk up his role as chauffeur to our days as chocolate ambassadors on America’s Sweetest Ride. 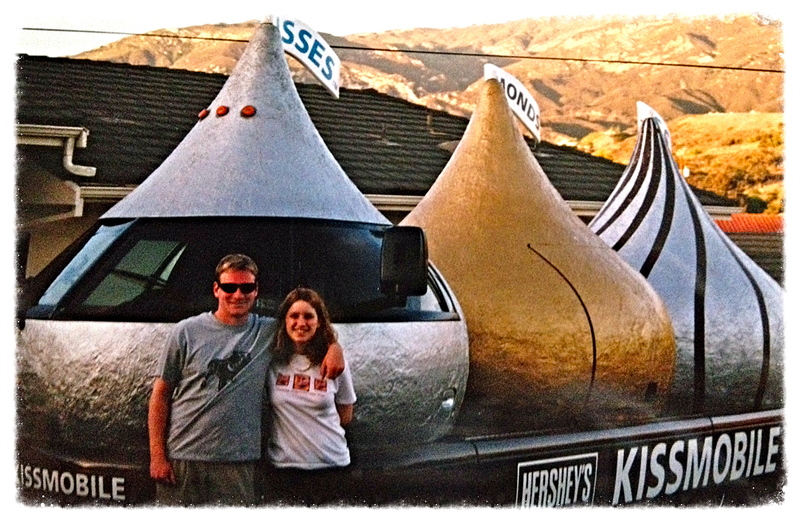 My husband and I drove the Hershey Kissmobile together across the Western half of the United States for four months. He drove. I drove. Thousands of miles. Okay, I lie. Mostly he drove. It was the West Coast, with cities like Seattle and San Francisco, and the frightening Rocky Mountain Pass. I navigated with the trusty Rand McNally, kept track of the charitable donations, documented the experience, and drove when the grades less inducive to sweaty palms. This is where it all began … circa 1999. As he drove us up 90/94 to Green Bay, my brain wandered through the division of labor in marriage. Husband and fathers have upped their game on the home front. The conventional male breadwinner/female homemaker Mad Men-view of marriage is not the norm. Yet many studies show that tying the knot increases the labour load for brides. Women do the brunt of cleaning, cooking and child rearing, even in dual-income households. There is no clear consensus as to why. Is it sociological? Cultural? Biological? Whatever the root, let’s face it: Household chores can push a couple to the brink. How about a marriage operation? Stop fuming over the dirty bathroom, and think like an economist. In love. I’ve stumbled upon several articles recently about utilizing office-inspired solutions at home. The core question is: How can spouses spend their limited time and energy most efficiently? If both partners view their household as a closed economy and themselves as a team, maybe they can strike a balance. Based on economics, each partner contributes an equal share to the total, regardless of individual tasks. It’s a “let’s get this done” mentality, and even if it’s not 50-50, it’s win-win. Step 1: Decide on your timeframe. Do you want to discuss to-dos weekly, bi-weekly monthly, yearly? Step 2: List out everything that needs to happen to maintain your household for the designated timeframe and the time it takes to do it. Tasks run the gamut: Paying the bills, grocery shopping, watering the plants, caulking the bathtub. List them all. Step 3: Decide who has the strict comparative advantage for each task, e.g. who is most efficient. There is a caveat. To figure out how to divide labor, the guy should get his hands soapy doing the dishes. And ladies: Time to try building a piece of IKEA furniture. Then if the female is more efficient at taking out the trash, she should strictly do that. Or try a combo – whoever is better at it, and who likes it more. 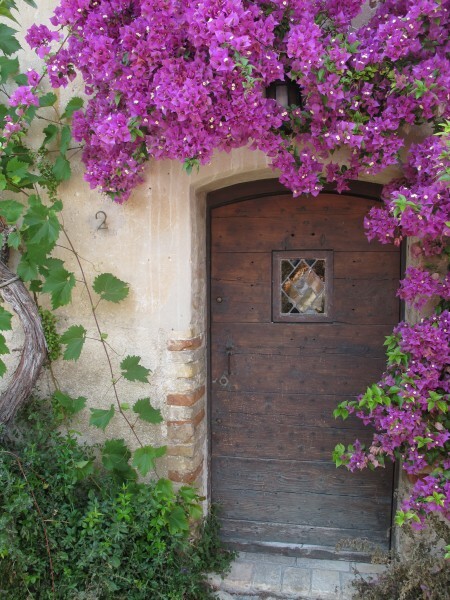 The Parents article, “Secrets of an Organized Family,” divvied up duties based on preferences. If this topic sparks your interest and want to cut through the noise of tired relationship cliches, check out It’s Not You, It’s the Dishes. Two journalists take classic economic concepts and apply them to the domestic front. In terms of driving, my husband has the comparative advantage. He’s had less bumps and bruisers on the roads. Less oops I looked down for a moment and rear-ended the car in front of me. Do you drive or does your spouse take the wheel? Do you hold a weekly/monthly meeting on household to-dos? How do you get ‘er done?